The beloved Dodge Durango GT just got better with the optional SRT-inspired Rallye appearance package. The Dodge Durango GT is already a popular vehicle for both large families and driving enthusiasts, and the Rally appearance package improves on what Dodge drivers already love and provides additional appearance features that drivers are looking for. Check out some of the amazing features of the new Dodge Durango GT with Rallye package that make it attractive to buyers. With the Rallye appearance package, your Dodge Durango GT will get the sportier look often associated with the SRT. This includes the addition of a performance hood that includes cold-air ducts and two heat extractors. Also providing the exterior with a performance upgrade are LED fog lamps and a front fascia. 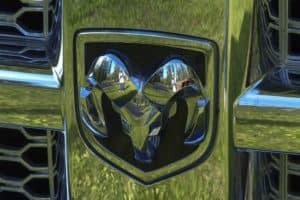 Dodge boasts that both the scooped hood and vents are completely functional to add to the performance of the vehicle as well as the look. The new appearance package allows you to choose from new Dodge colors to help fit your Durango with your personality. Some of the available color options include White Knuckle, Vice White, Octane Red, Redline Red, Granite, DB Black, and In-Violet. The Dodge Durango GT has the power you need to handle rough terrain, carry heavy cargo, and haul what you need to. The vehicle is powered by a 3.6-liter Pentastar V-6 engine, which has the capability to output up to 295 horsepower and 260 lb-ft of torque. The vehicle also features a dual exhaust matted and a TorqueFlite 8-speed automatic transmission. The Durango GT has the ability to tow up to 6,200 pounds and provides for better fuel efficiency than the V-8 models. The Dodge Durango GT comes with a number of standard features as well as additional options that can allow buyers to customize their vehicle to fit their specific wants and needs. Some of the equipment included on the GT are 20-inch hyper black aluminum wheels, power liftgate, and both rear-drive and all-wheel-drive configurations. For those looking for comfort in their interior, the Durango has the features to make your ride as relaxing as possible with leather-trimmed bucket seats with suede inserts, heated first and second rows, and optional soft-touch hand-wrapped instrument panel. The driver seat provides 12-way power adjustability with memory option and optional leather-wrapped heated steering wheel to provide ultimate comfort for the driver. The Dodge Durango GT also offers optional third-row seating and can comfortably fit up to seven passengers. Looking at the Dodge Durango GT and want to add the Rallye appearance package? The good news is that Dodge has decided to not hide some of its upgraded options in higher trim levels but instead decide to allow buyers to add it on as a reasonably priced package. Find out why buyers are falling in love with the new Dodge Durango GT with Rallye appearance package for yourself by stopping in and taking one out for a test drive today.